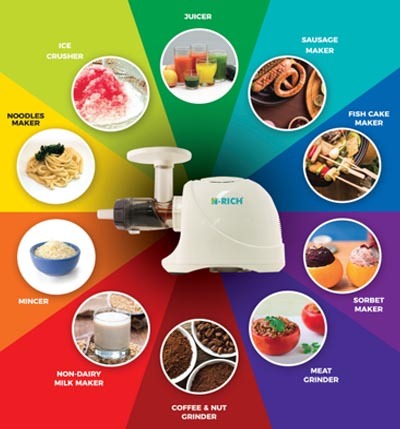 This machine is a 10-in-1 multi purpose machine that can make various recipes like freshly squeezed juices, healthy sausages, salads, noodles, dairy-free milk, all natural ice cream and natural seasonings too. It is a patented product that uses the principles of Millstone. It is also made from quality materials for long lasting use.